Prior research has demonstrated that modern cars are vulnerable to cyber attacks. As such attacks may cause physical accidents, forensic investigations must be extended into the cyber domain. In order to support this, CAN traffic in vehicles must be logged continuously, stored efficiently, and analyzed later to detect signs of cyber attacks. Efficient storage of CAN logs requires compressing them. Usually, this compressed logs must be decompressed for analysis purposes, leading to waste of time due to the decompression operation itself and most importantly due to the fact that the analysis must be carried out on a much larger amount of decompressed data. In this paper, we propose an anomaly detection method that works on the compressed CAN log itself. For compression, we use a lossless semantic compression algorithm that we proposed earlier. This compression algorithm achieves a higher compression ratio than traditional syntactic compression methods do such as gzip. 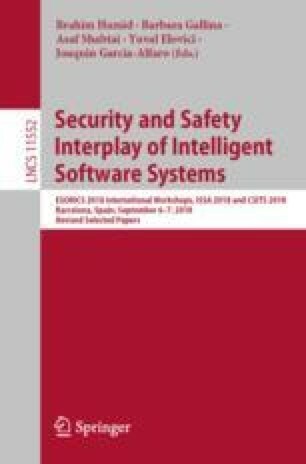 Besides this advantage, in this paper, we show that it also supports the detection of injection attacks without decompression. Moreover, with this approach we can detect attacks with low injection frequency that were not detected reliably in previous works. The work presented in this paper was partially supported from the grant GINOP-2.1.1-15. The project has been supported by the European Union, co-financed by the European Social Fund. EFOP-3.6.2-16-2017-00002.